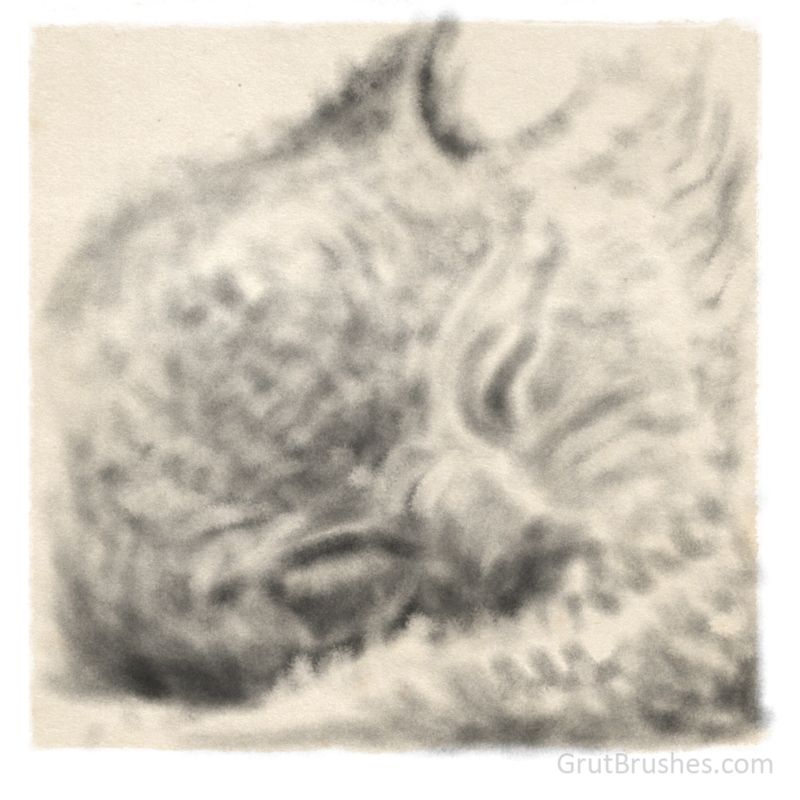 This was sketched with ‘Kays Way’ the newest arrival in the brush shop today. 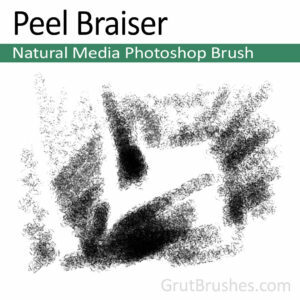 It’s a fibrous natural media brush that is wiry and scratchy at the lowest pressure but gets soft and wooly at the highest stylus pressure. 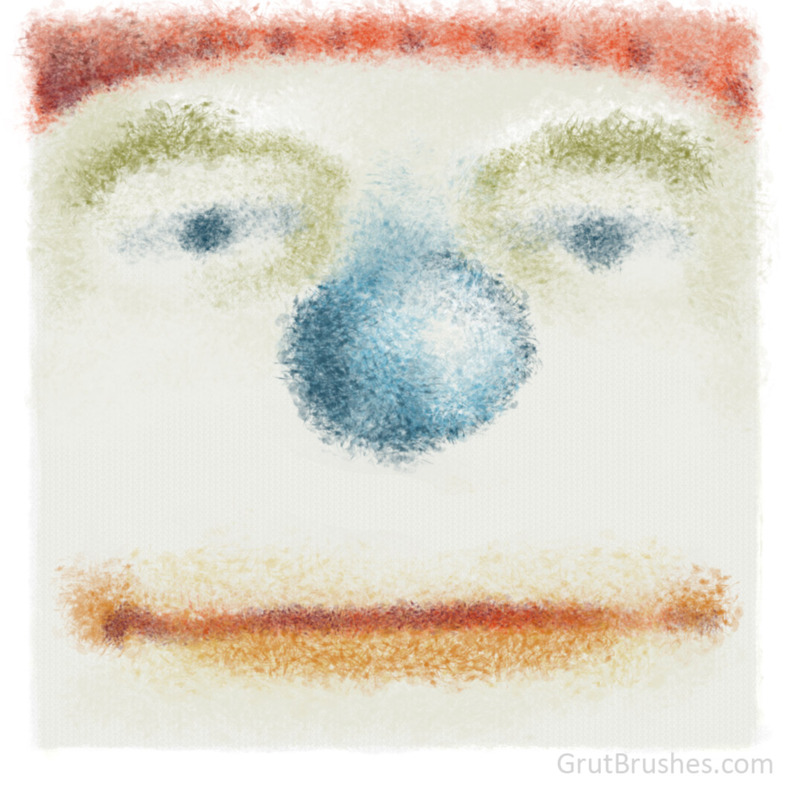 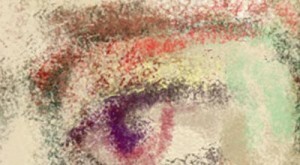 This highly textured pastel brush has low coverage making it a good impressionistic shader. 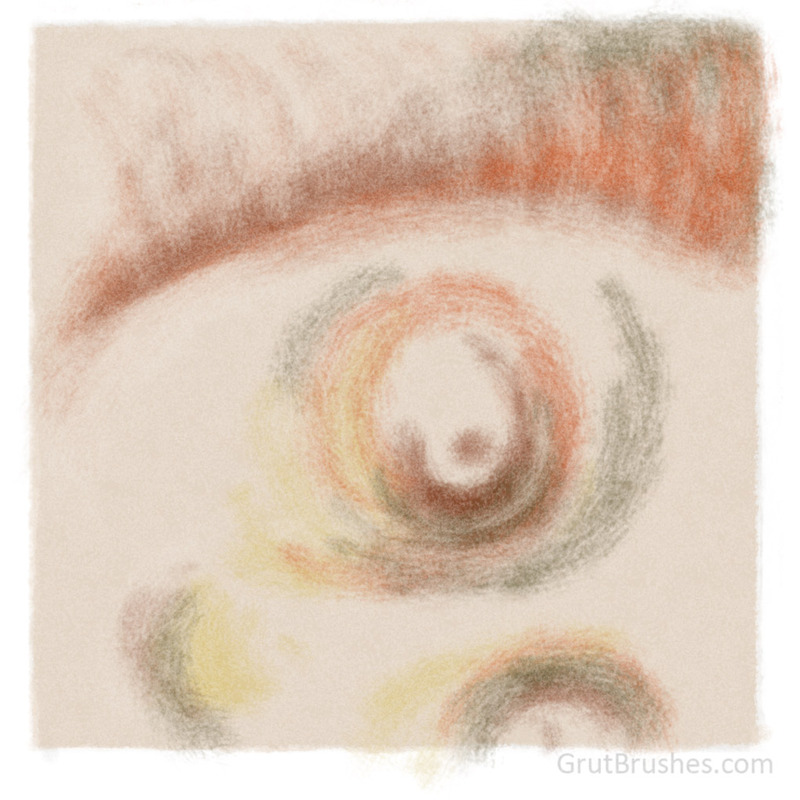 Sometimes a soft brush with no context, nothing to compare it to, can just appear as smudged, faded or even just out of focus. 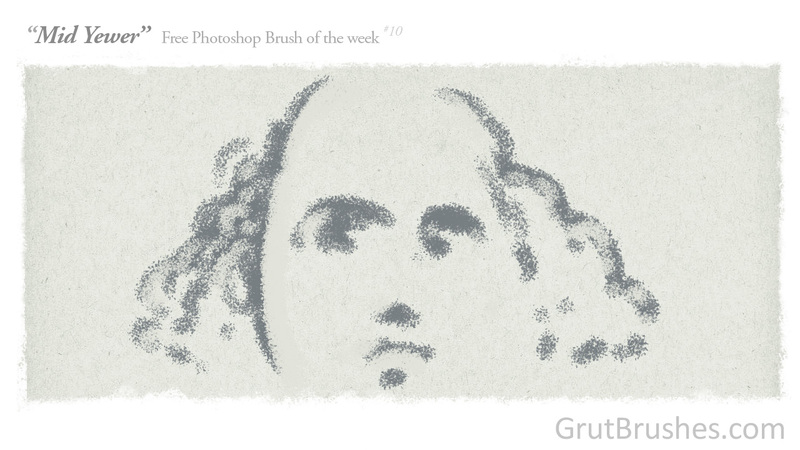 What I like about this week’s brush is that while it has a softness to it, it also has lots of sharp grainy ‘bits’ in it, which depending on the background, appear to be either paper flaws or flaky deposits of pigment. 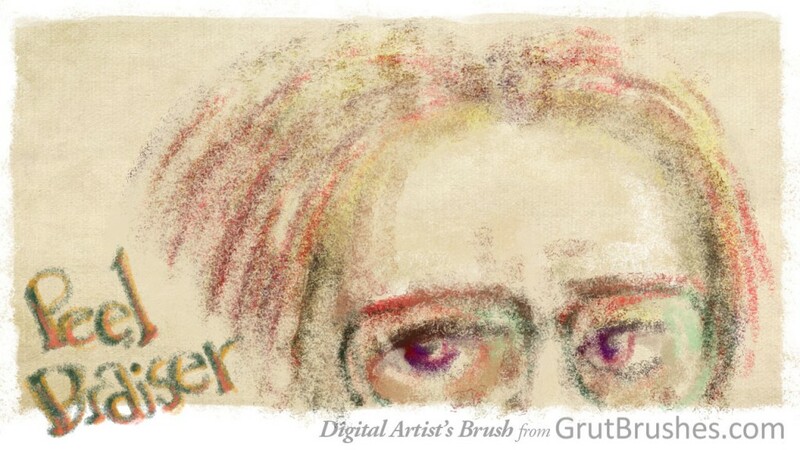 It’s digital after all so what they really are, is up to you. 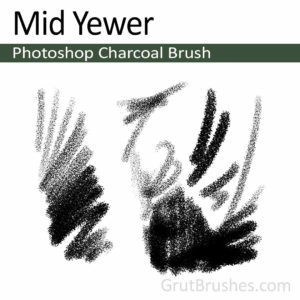 This charcoal or chalk brush is more flexible and fungible than some of the more recent brushes in that it is has a very soft fingerprint at low pressure. 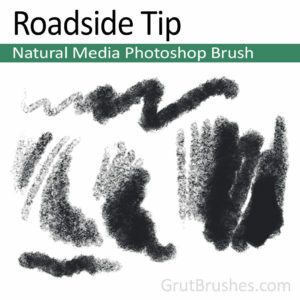 With a single stroke you get very light coverage which makes shading easy as you can easily control the amount of colour and by building it up with multiple stokes it’s possible to create areas of light colour blend into very dark sections without visible brush strokes. This maintains a sharp texture like you would have with chalk or charcoal on heavy textured paper without the smudginess that you would get using a stump or tortillion in traditional media. 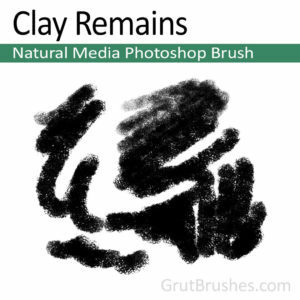 “Clay Remains” is a companion to the recently added “Tailors Mane” pastel brush. Similar in tone but thicker in coverage and more powdery at light pressure. 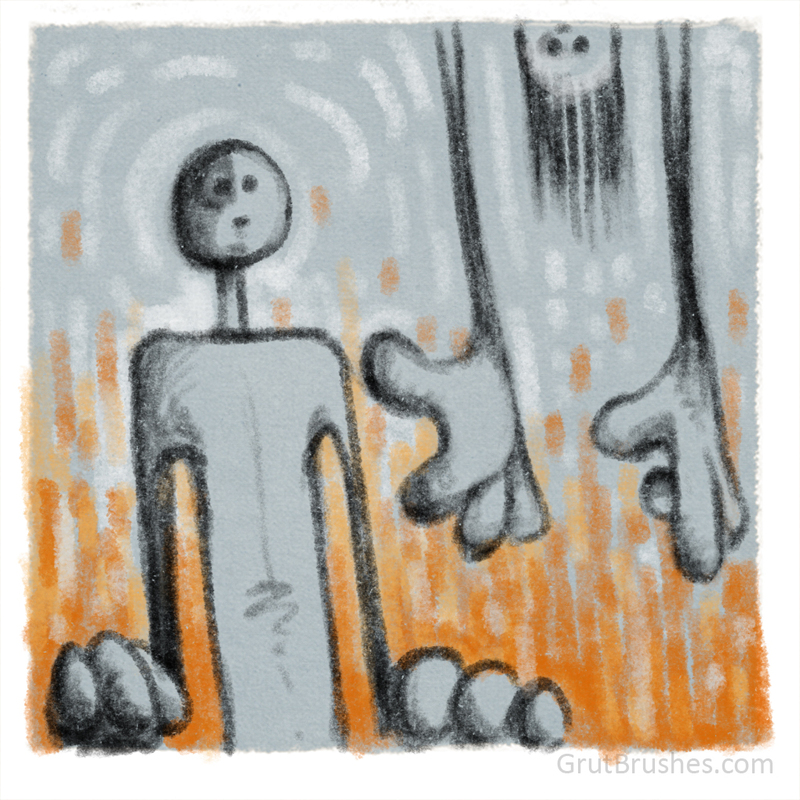 If you push lightly it has a bit of a blender effect, a bit like rubbing the page with you finger.